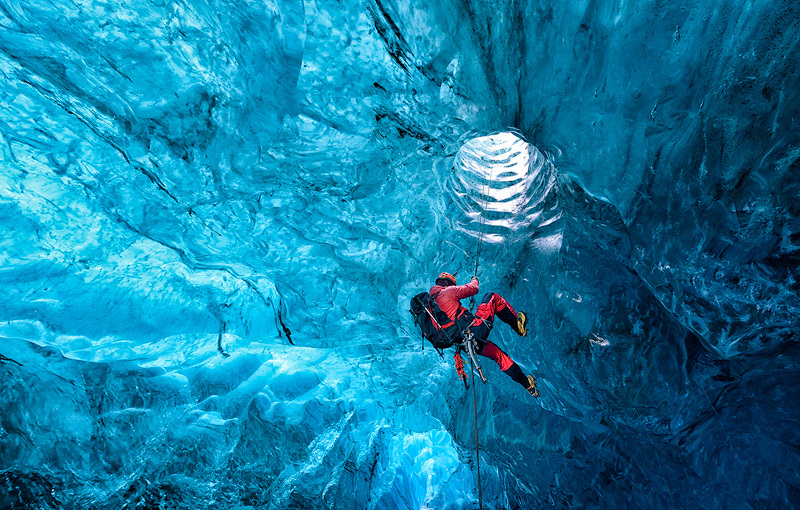 An ice climber descends into an ice cave inside the Vatnajökul glacier, Iceland. It is the largest and most voluminous Icelandic glacier, and one of the largest in area in Europe. It is located in the south-east of the island, covering more than 8 percent of the country.